Eggs are the ultimate food in many ways. They come in their own protective shell; they can be eaten for breakfast, lunch or dinner; and they are one of the key and healthy ingredients to many dishes, including desserts. In addition, they’ve historically served as an inexpensive source of high-quality protein, containing all of the essential amino acids required by humans as part of a balanced diet. Even the new dietary guidelines by the U.S. Department of Health and Human Services and the USDA have removed the previously suggested caps on dietary cholesterol (though they do recommend reductions in protein consumption). 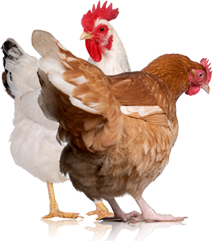 Compared to other livestock, chickens are relatively easy to raise and provide eggs in a short period of time. 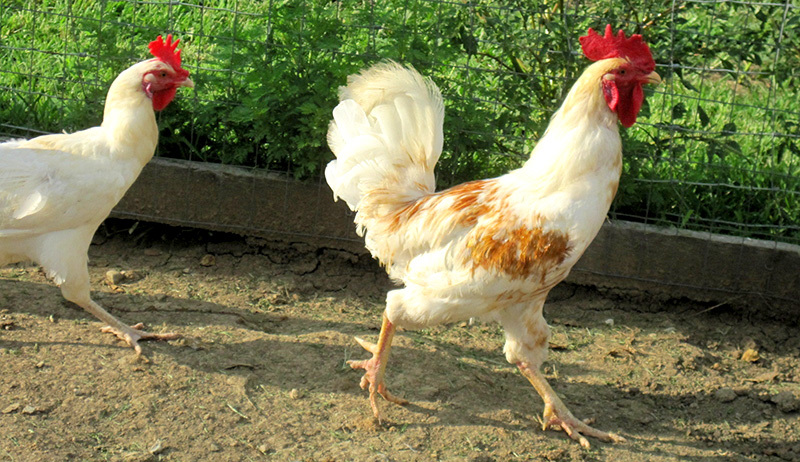 For these reasons, it’s no wonder that chicken ownership has increased with more people choosing to raise their own egg-laying chickens. However, like other foods, eggs are susceptible to foodborne pathogens and can cause illness if not handled properly. Just last year, the Centers for Disease Control and Prevention linked 252 Salmonella spp. 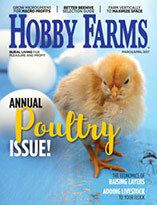 outbreak cases to backyard poultry. Sixty-five of those cases were linked to Salmonella enteritidis, which is the most common type of salmonella found in table eggs. The CDC estimates that for every one case of salmonella that is diagnosed, approximately 38 cases go undiagnosed. These cases are largely preventable through good husbandry and biosecurity practices. With the knowledge that foodborne pathogens are largely preventable, here are some tips on how to mitigate the risk of spreading disease through the egg-collection process. While some of these may seem time-consuming and inconvenient, they can go a long way in reducing the risk of foodborne illness and can offer other benefits, such as reducing problem behaviors—e.g., egg-eating—by your chickens. Thoroughly wash your hands with soap and water before and after collecting eggs to reduce the risk of introducing pathogens from the home (i.e., handling contaminated meat, vegetables) to the eggs and vice versa. Once bacteria are introduced in your flock, it’s difficult to get rid of them. Hand sanitizers with an alcohol content of 60 percent or greater excel at killing bacteria, and they may seem like a good alternative to washing your hands; however, they can quickly become ineffective if your hands are heavily soiled. For this reason, antimicrobial soap and water are preferred as they can remove and kill bacteria even when your hands are visibly dirty. To maximize your chances of getting rid of any bacteria from your hands, follow with hand sanitizer. You should collect eggs at least twice a day. Frequent egg collection provides several benefits. While eggs have a natural barrier with antimicrobial properties around the shell, it begins to break down after 96 hours. After regularly checking for eggs, they should be refrigerated right away. Prompt refrigeration not only ensures fresher eggs, you will also prevent any possible bacterial load from dramatically increasing. Microbes can double in numbers in 20 to 30 minutes at optimal temperature, which is around room temperature for some bacteria. However, if you refrigerate at 35 to 40 degrees F, you can stop the bacteria from growing and thus reduce the bacterial load. Aside from ensuring good food safety, another reason to collect eggs regularly is to prevent the unwanted behavior of egg-eating. This behavior generally occurs from hens accidentally breaking eggs, so the less time your chickens have around eggs, the less likely they are to peck at them and become egg-eaters, which is a difficult habit to beat. It can also prevent chickens from becoming broody, another habit that is not easy to beat. With all these in mind, it makes sense why collecting eggs every day is important. It’s easy to get in the routine of collecting eggs without really paying attention to them, but taking the time to look for abnormal eggs can help you evaluate flock health. For example, thin spots (i.e., local areas of the egg that are not fully calcified) or soft-shell eggs may be signs of disease. A sudden drop in production can also be another indicator of disease in a flock. Although abnormal eggs are not immediate signs of disease, or of a particular disease for that matter, they are worth looking into so that appropriate action can be taken (e.g., isolating sick birds). It’s best to use plastic egg filler flats that are easy to clean and disinfect. It’s common to get used to using the same container for collecting eggs without cleaning it daily, especially if it doesn’t appear dirty. However, harmful bacteria, including Salmonella and Campylobacter have been known to persist in the environment for months. Be sure to clean and disinfect the container each time before use to avoid cross-contamination. Don’t reuse paper cartons, as they can’t be disinfected. Make sure your hens are using their nest boxes. Letting them lay wherever they please may seem fun or natural, but daily egg hunts are not always fun and floor eggs are typically dirtier and more contaminated than those in nest boxes. In addition, nest boxes provide a cleaner and safer environment away from dirt and predators. This is very important for predator control, as well. Once predators are attracted and realize there is access to eggs, they will keep coming back. Common predators that eat eggs include raccoons, skunks, mink and other birds. Occasionally, you may find a hen that prefers to stay in the nest box during the day or perch in it at night (which exposes the nest box to increased amounts of feces). If this is the case, eggs are more likely to get dirty from the feces and increase the egg’s risk of exposure to pathogens. Consider restricting access to the nests to times they are most likely to lay. One way to deter hens from perching in their nest boxes is by making sure there is ample perch space higher than the nest boxes, as chickens prefer to roost in higher places at night. Another good way to prevent this is by using litter in the nest box that differs from the floor (e.g., straw versus wood shavings). This will help keep them from staying into the nest box all day as well as help them see the nest boxes and coop differently. You shouldn’t keep eggs that are very dirty or have cracks or holes. If there is dirt present, consider dry cleaning with a cloth, not sandpaper. Sandpaper will wipe off the cuticle and potentially increase pore size. As mentioned before, the cuticle plays an important role in keeping bacteria levels low and increasing pore size allows for more bacteria to get in. If dry cleaning doesn’t work, consider throwing them out. Washing eggs at home isn’t recommended, as it can destroy the cuticle and drive more bacteria into the egg through the pores if done incorrectly. In general, eggs have to be washed to be sold commercially in the United States, washing eggs will not make them safer if done improperly. Unless you’re selling your eggs, we recommend not to wash the eggs you collect from your backyard flock. Although the tips mentioned in this column can help greatly reduce the number of bacteria found in your eggs, food safety doesn’t stop there. Backyard chicken-keepers should also practice proper egg-handling, such as regular cleaning of surfaces in contact with eggs, and cooking—heating the eggs to 165 degrees F—to fully enjoy this wonderful food from your chickens. 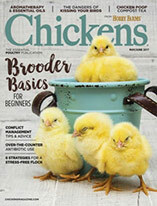 This article was written by research assistant Myrna Cadena and Dr. Richard Blatchford, a cooperative extension assistant poultry specialist, and it ran in the May/June 2016 issue of Chickens.